She pointed her finger at Flame’s purple bra. It lifted off the chair and hovered in the air. Each of the Sprite Sisters, between nine and thirteen, has a magical power related to one of the four elements – Earth, Water, Fire and Air. 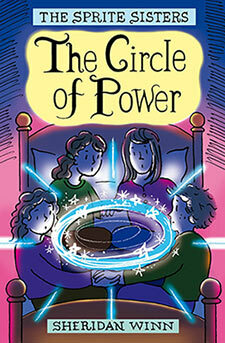 When Ariel discovers her power on her ninth birthday, their circle is complete. The girls’ magic must be kept secret, and used only for good; if not, the consequences could be dire.